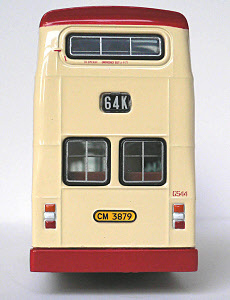 The model - an unconfirmed report of this model was received in late March 2009, with official confirmation being received in early April. The model was released in Hong Kong on 9th May 2009. 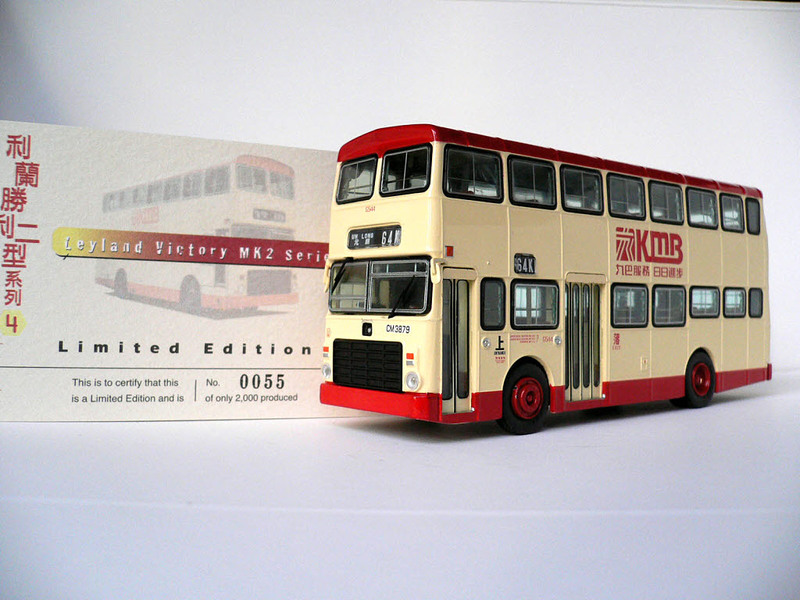 It is the fourth in the 'Leyland Victory Mk2' series from KMB. The bus - CM3879 was one of over 500 Leyland Victory Mk2s to enter service with Kowloon Motor Bus, but was unique in that it was the only one to be classified as a coach, it was fitted with air-conditioning and had coach seats. It is easy to distinguish from the standard Victory Mk2 in that the three rear lower deck side windows are shallower than the others, as a result of a raised floor. 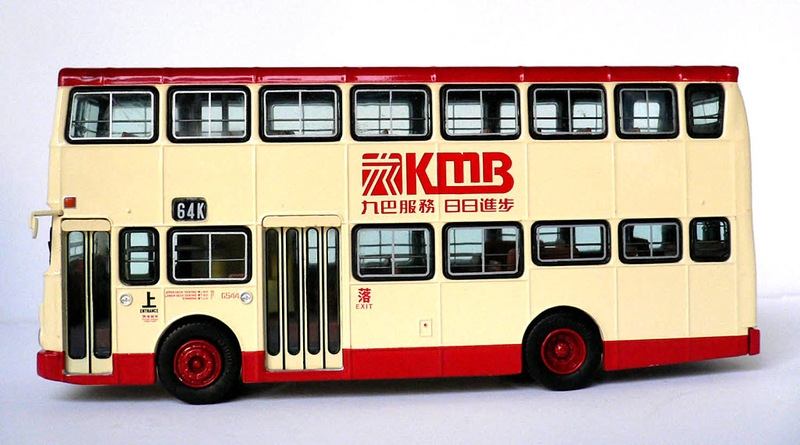 The vast majority of these buses were shipped to Hong Kong in kit form, for building in Hong Kong by the local workforce, however CM3879 was shipped fully built. 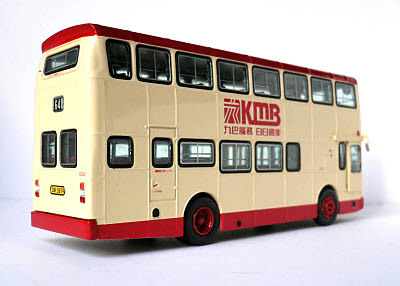 Prior to leaving the UK, it appeared at a Hong Kong exhibition in London, at which time it carried a distinctive yellow and cream livery (a colour photograph of this livery appears in the book 'Leyland Victory 2' by Danny Chan and Tin Yau Lee, published by Northcord Transport). On arrival in Hong Kong, it entered service in April 1981 carrying KMB's standard coach livery, but unusually, was not allocated a fleet number. 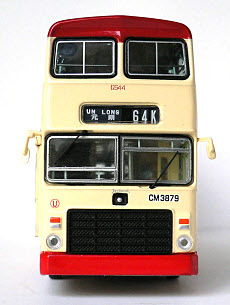 The air-conditioning proved unreliable and troublesome, and by May 1983, CM3879 had had its air-con equipment removed and re-entered service as a bus, being allocated fleet number G544. 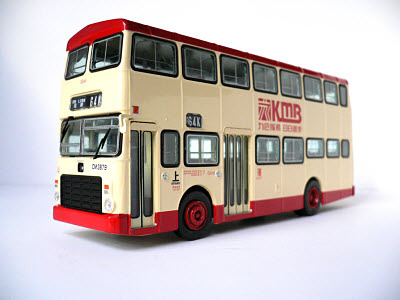 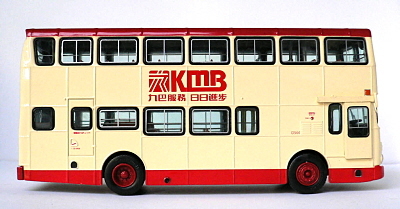 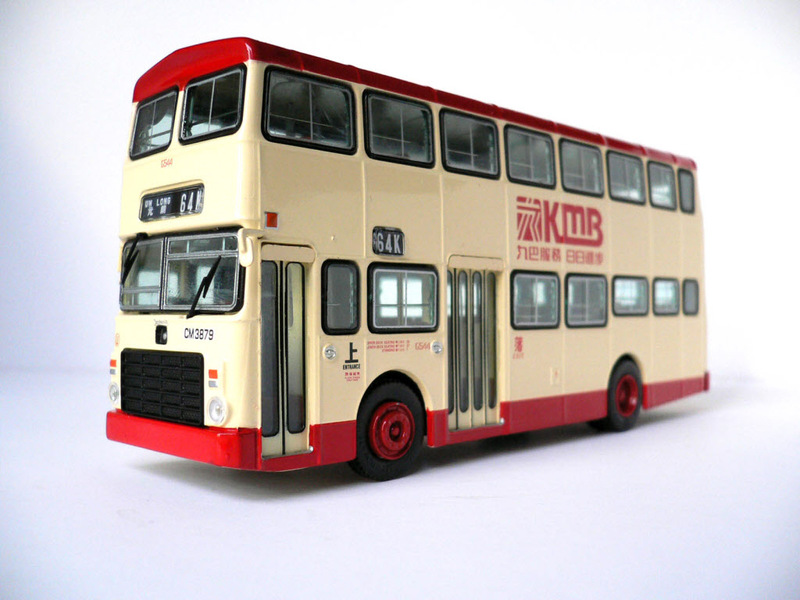 It also received KMB's standard cream/red livery, as portrayed by this model. 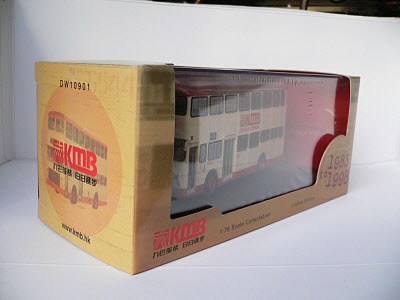 excellent book Hong Kong Buses - Kowloon Motor Bus.